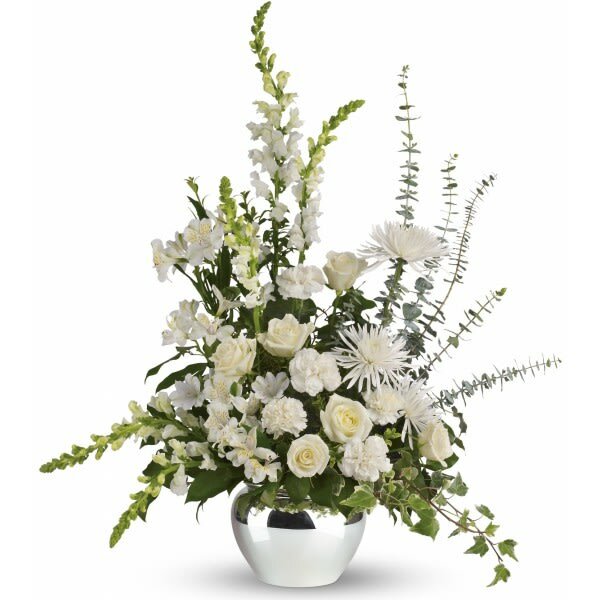 This all white bouquet includes roses, alstroemeria, carnations, snapdragons, spider chrysanthemums, and accented with assorted greenery. All orders from the Sympathy Store are hand-designed and delivered by a local florist. 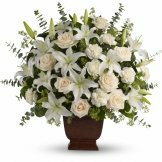 This arrangement measures approximately 31" W X 35" H.